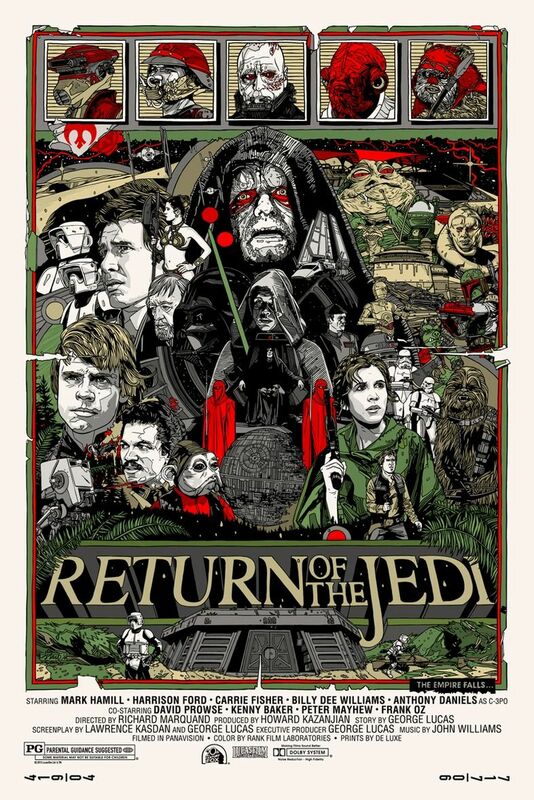 Mondo will be finishing up their Mondo Star Wars series with work from Tyler Stout. 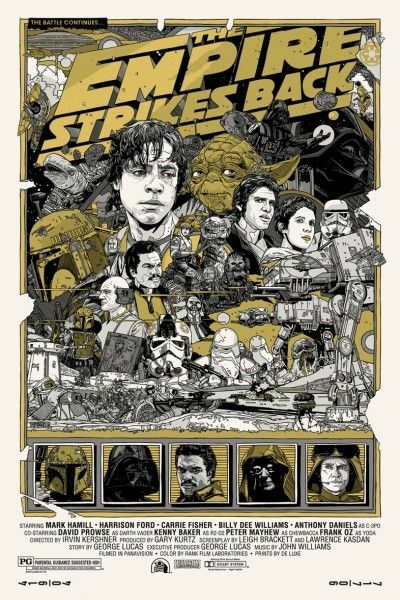 Stout has designed a poster and a variant for each of the original series. So if you’re still smarting that you didn’t nab one of Olly Moss’ amazing prints for the original trilogy, you now have a second chance at an awesome Star Wars poster set. 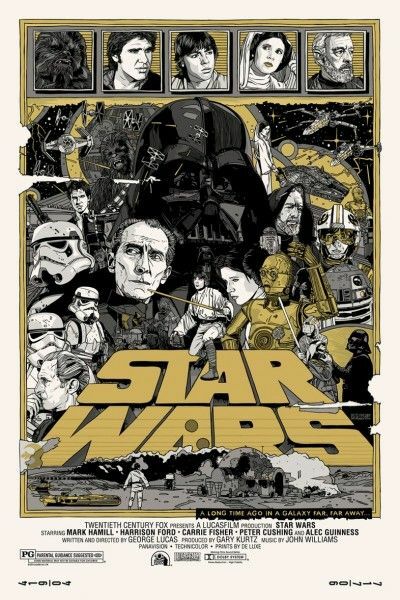 You’ll also have a much better chance this time around as this will be Mondo’s widest release to date: 850 posters of the standard edition and 275 of the gold-and-silver variants. 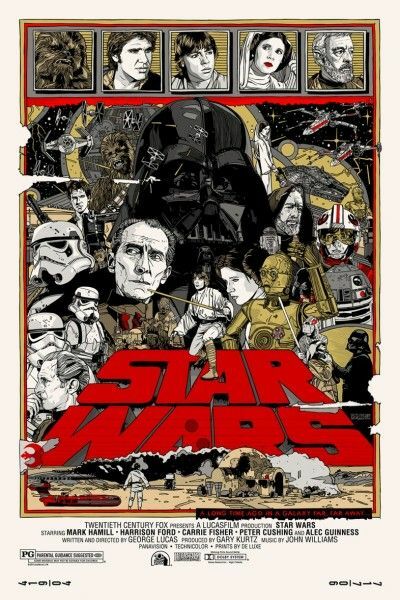 The posters measure 24″x36″ each and will go on sale at Mondotees.com on December 31st at a random time. As always, be sure you’re following @MondoNews for the announcement.